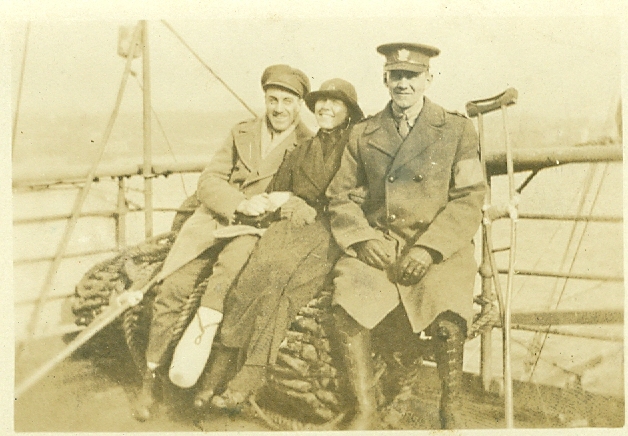 Because of a volunteer job I do at a local historical society, every morning I post a tweet from the diary of a front line WWI nursing sister who came from my home town of St. Catharines, Ontario, (pictured above with two wounded Canadians). Most of her diary entries are amazingly banal: going to the village, attending concerts, flirting with the officers, the lovely countryside and architecture of France, etc. After the battle of Vimy Ridge during which over 3,500 Canadian men were killed and 7,000 wounded she notes with chilly satisfaction that everyone is pleased because they were expecting so many more. She refuses to take you down into the chaos and butchery that surrounded her. And yet sometimes her words haunt your dreams. Last week she wrote how 'her boys' often found humour in the grimmest of situations. One lad laughed and told her that when he saw a pair of legs flying over his head he thought to himself, "If those are mine, I've had a terrible accident." History isn't what we read in well researched factual books it is found in the voices of those who were there. This diary says as much about women and Canada as it says about the 'boys' who fought. Her remark about Vimy Ridge certainly shows the depth of sacrifice they were prepared to make. Jeesh, I clicked the wrong button and lost your comment. Fortunately i remember that you said you had just returned from BC you lucky fella! Looking forward to more west coast photos on your site! !